"David was wonderful! I started with a different Realtor, but did not care for them much after our first conversation. I did a quick search for highly rated realtors, found David, called him, and we were off! David is very responsive, and always answers his phone or calls back within the hour, which is very important to me. We found and closed on a home in 30 days, and the whole process was pain free and fun. If we ever decide to move up or sell and buy, we will be using David again! " "My first contact with David was on the phone several years ago when I just needed information about possible improvements. I wanted to make to my current house and the repercussions they could have on the selling price. Even though I had no business for him then he was nice enough to take the time to talk to me and explain my options. So when I decided to buy a little investment condo, it felt only natural to contact him, and I was not disappointed. David is very nice and helpful, he responds to your questions very quickly and is everything you want in a realtor. 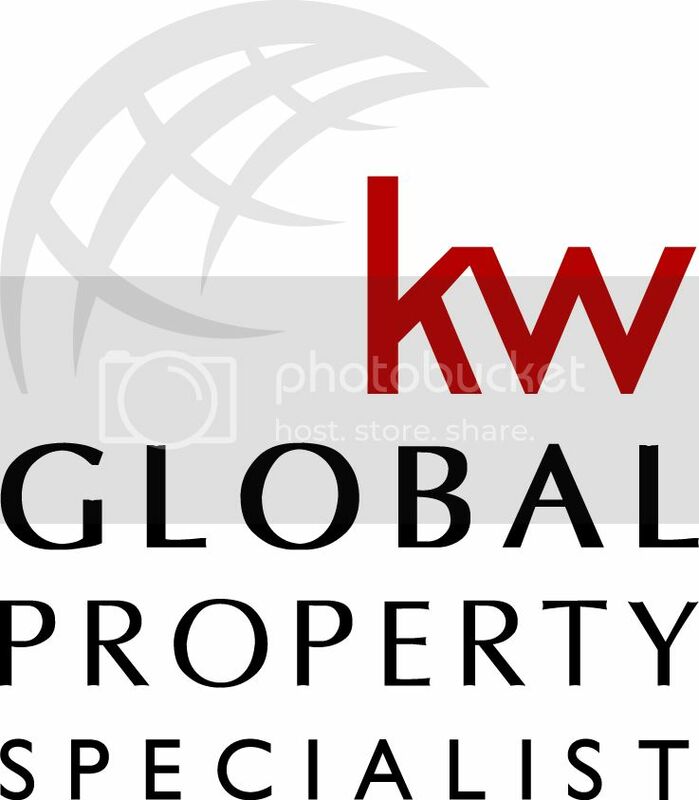 David will be my go-to person next time I need to buy or sell a property." "We were planning on relocating back to San Diego from the East Coast. We contacted David and he was amazing to work with from the very beginning. He listened to our needs and communicated the best strategy to pursue. He was incredibly responsive by phone, text, and e-mail, despite the time difference. Once we found the house we liked, he visited the house and sent us a video. David was so helpful that we made an offer without seeing the house! He truly has your best interest in mind and will work for you. Even after the closing, he has been there to help us with the transition. I have no hesitation and would happily work with David again. Thank you David!!" "David is an all star! His no pressure, down to earth approach is excellent! I felt we had honest conversations during my search which lasted for a while, and he never gave up on me. He is very responsive, acknowledges calls and texts and let you know even if he is busy at the time he will get back to you (which he does at a rapid pace). David goes to work for you, is honest with you, and sees you through the process explaining anything and answering questions, David is your guy. This process would not have been the same without him. Also, he's checked in on me since the closing, and I truly appreciate that. I highly recommend David, he's nothing short of awesome!" "5 STARS! David is hands down the best realtor I have ever had. He spent a good deal of time up front, via email/phone/in-person, finding out exactly what I was looking for in a property. He was always very prompt in replying to my emails and calls (usually within minutes). When I narrowed down my search to one condo complex in particular, he reached out to his many realtor contacts in the area to find out if any properties there were coming to the market soon. When a unit in that complex finally came onto the market, he understood that we needed to jump on it immediately. (This was in the Carmel Valley/Del Mar area, where properties were going into escrow within a few days of being listed.) David agreed to meet me at the condo the very next morning after it went onto the market, and he had already prepared much of the bid paperwork in advance, so we could make an offer right after seeing it. And he saved me $10,000! The BEST!!!" 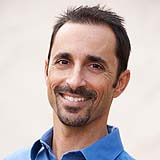 "I work with a lot of realtors and David Demangos is by far one of the best Realtor's in San Diego. He has his clients best interest at heart and wins offers in this competitive environment. On the listing side he will get top dollar for your home. His strategic process wins for his clients ALWAYS!" "Before moving back to SD after a couple of years in the Bay Area, I spoke with over a dozen realtors. Despite telling each of them my motivation level (high, would buy tomorrow if the right deal came along) and that we were pre-qualified for a decent mortgage, each of them just put me into a basic MLS search that would spam me daily and that was the end of it. We were surprised and, frankly, delighted that he alone ended our conversation with, "and when can we talk next?" He heard the seriousness/eagerness in my voice and matched it completely! He and I spoke on a Thursday evening, talked again on Monday after we looked at our options, set up viewings for Wednesday (so I'd have time to drive down), and were in escrow by Thursday!! Throughout the escrow process, David and his team was there to guide us all the way. He provided insights, referrals to excellent contractors and other professionals to help us make informed decisions, and was always responsive!" "I found David after an internet search and reading various reviews which indicated that he had sold properties and helped people who lived outside of the area. Since I currently live on the other side of the country I needed someone I could trust to get stuff done for me in San Diego. David did a great job getting my placed sold. He communicated a lot, took photos and videos of my place after the renter moved out so that I could see the condition and make decisions, and helped me find good people to complete basic paint, repair and clean-up. Throughout the process he kept in contact to provide regular updates we managed to get it sold quickly at 5k above asking, even closing early over the holiday's right between Christmas and New Years. Overall the process was painless and I couldn't be happier with the service provided. If you're looking for a person you can trust to get your place sold, David is your guy!" "David embodies the 'awesome' in 'Awesome San Diego Real Estate'. As first time home buyers we had no idea what to expect, definitely not the gazillion amounts of documents and paperwork we had to read and fill out, but David walked us through the process from start to finish. We are pretty detailed and analytical by nature, so of course we had to read and understand everything, and David always took the time to explain and if he did not know the answer, because it was in regards another area of expertise, he would get us in contact with someone that would be able to get our questions answered. What I also very much appreciated is that David gets back to you pronto. Especially when you are buying a house and time is of the essence it was very re-assuring to know David would get back to you in no-time, David was very quick to help out and make sure things were covered. So we really felt taken care of throughout the whole process. Thanks David and Gina - you rock!" "I bought my house with David, and when it was time to sell I didn't even think about finding someone else. He always had my best interests in mind, was extremely easy to contact and a true pleasure to work with. Thank you David and Awesome San Diego Real Estate for making both transactions as painless as possible, I really appreciate all your help and knowledge. Don't hesitate to call David now, I'm positive you'll be just as happy as I was!" "David is so attentive, prompt, informative, and accommodating. He did a presentation of his services before we made a decision to choose him as our realtor. He set up an online tool for us to be able to search homes with daily updates right away. We bugged him on a Sunday and he did not hesitate to show us two properties we liked. He never pressured us and gave us just the right amount of guidance to be able to confidently select our first home. He was able to explain the entire process and answer all my questions. He readily provided us with lender information and handyman/contractor contacts when we closed. He even addressed any issues we had, so we didn't have to. We really couldn't have asked for a better realtor. You're in good hands with David!" "David and Gina helped us find and close on our new house in Encinitas. They were prompt, responsive, and were there to address every concern morning or night. David and his team saved us a ton of money and got us the property below market value. We are extremely grateful to have found them and recommend them to anyone who needs a realtor on their side! Nick & Susan Encinitas, CA"
"Met David and his wife Gina on one of our random open house tours and got caught in right away to both their teamwork professionalism yet down to earth welcome and approach...I had him as my agent when it was time to buy my house and was very impressed with his availability both physically and in writing contract.., David is very patient and was not imposing but helped me make decisions without rushing me..he made sure to send me listings on a daily basis so we could view properties and he's very techno savvy, as well, which saved me a lot of time. I definitely would utilize David again as my agent for future transactions... my sincerest thank you David and Gina!" "David, thank you for taking care of everything for us. I will be sure to pass your info to anyone I know looking to buy or sell. There were many great parts in regards to my experience with David, but the one that stood out the most was his willingness to help me with my tenants during the whole process of selling. Due to our situation of being out of state, having tenants, and buyers that did not want to assume landlord status, our sales had to be extended slightly. During this time, it felt as if we were in limbo, but David continued to keep us updated and made sure that we were doing ok during the waiting period. Many thing could have gone wrong, but David's diligence is what kept every smooth. I feel that David was amazing overall and I wouldn't change a thing!" "David was our agent for buying a condo. He was extremely helpful throughout the purchasing process. We were not particularly familiar with the buying process, and David spent a lot of time explaining it to us and provided us with a lot of useful information. Even after closing, he is still available to help us whenever we need referrals to improve our home further. Highly recommended! " "I absolutely LOVE David and Gina. I knew of their good character before I even decided to use them to sell my house. This is something that was very important to me. Many times in a commission based business, you come across people just looking to make the sell. And you can many times feel that. It is not a pleasant feeling. From the moment I met David and Gina, I felt they were genuine people with a genuine interest in helping people move from one phase of their lives to another. David was so professional and prompt. He always made sure to communicate of detail of the process. His team is outstanding everyone worked at his standard. I would always recommend David. I am so grateful to know him and would absolutely choose Awesome San Diego Real Estate in the future." "David worked patiently for the sales of my two condos in San Diego. He was always available for call or text during the two sales. He was truly a professional." "David is EXCELLENT! He sold our home in less than two weeks! We had a very challenging escrow (buyers side), but David was very cool, calm and collected, even though we were freaking out. It was all good in the end. Thanks David!" "I would like to thank David Demangos where he helped me buy a wonderful condominium in La Jolla. I was looking for a long time and I’m very happy with his efforts finding my home. He specifically helped when I needed it the most. I think anybody who is going to use him as a real estate agent is going to be very happy with his services! " "David was great, he listed our home in San Diego and within a week it was sold and in Escrow! He followed up with us even after the close to ensure we were happy and taken care of." "David is one of the best. We used him to help sell our property as well as buy our new house. He's exactly what you want in a realtor - always there to follow up on any leads, great communication and turnaround time, no pressure and honest conversations and a lot of experience. What additionally makes David stand out is his professionalism (Just look at any of his listings. He uses a professional photographer and made our property look amazing!) and he uses technology to everyone's benefit. With buying or selling a home, there are a million documents to be signed. So much time was saved by setting this up electronically, speeding up the entire process. Not only is David a great realtor, he's become a good friend too. If ever we sell another property, we'll be sure to use him again! Thanks David!" "I highly recommend David and his team. David is hardworking, personable, caring, and very responsive. This was our first time selling and buying a property. David made each of these a great success! We sold our house faster than anticipated and our offer was accepted on our first home purchase even faster. We will always reach out to David in the future! " "David sold my home fast! Best part of working with David was his relentless follow up. Every question I had was answered in a timely fashion, every concern addressed. David made me feel like I was his only client. His efforts were greatly appreciated. He and his staff were unfailingly polite and attentive. Thanks David. You made it easy to sell my place." "David did a great job of selling my townhouse in Carmel Valley. It was on the market 24 hours and he was able to get a cash offer at the exact price I wanted.The whole transaction went quickly and smoothly. I am very grateful that I went to Yelp to find a realtor because it truly paid off." "My husband and I are first-time homebuyers and we were looking at new construction houses in the San Diego Area. We decided to use David as our real estate agent because of the positive Yelp reviews we read. We are glad we had David's help throughout the entire buying process. He is a good listener and he is quick to respond to any questions or concerns we had via any sort of communication methods. Given that we were looking to secure a lot at the end of December, David really was exceptional in dealing with everything in a timely manner in amidst of all the holiday craze! His experience and skills in dealing seller saved us many back-and-forth headaches. Most importantly, David gave some really honest and no-frill advice, which we liked the most. I would highly recommend David if you are looking to buy in the San Diego area." "David is the best real estate agent that I have ever worked with. Having bought several homes in my life and sold some, I have worked with numerous agents. Dealing with selling my father's condo after he passed away, was by far the hardest I've done. David made the whole listing, sales and escrow process smooth and quick. He not only puts in a lot of time but knows the market and works well with the other agents and his clients. He is a true professional, caring, well organized and communicates with all parties along the entire process. If you are buying or selling a home or condo, you owe it to your self to contact David. You will be glad you did!" "David is AWESOME! We have worked with David off and on for almost 5 years to find a house in San Diego. We would meet with David, see what was on the market, go look, and then never make an offer. Finally the third time we called David to "just look" at what was on the market we found a house in Oak Park we loved. David helped us through the whole process and even helped us when things weren't going so smooth for us. We truly loved working with David and would recommend him to anyone looking to buy a house in San Diego!" "David did a fantastic job marketing our home! We actively listed our home the week in January 2016 that had the big rain storm. On the worst day of the storm we had around 12 buyers and ended up with multiple offers. The second day of showings we had more buyers and more offers. It got to the point that offers were being revised to compete with offers coming in, which drove our sale price above asking (nice!). We ended up entering escrow after 3 days on the market. David helped us get our home ready for sale by recommending Lesign Interiors, LLC, to help us know how to stage our home to stand out, and then by bringing in a professional photographer for marketing pictures. When we went live it was very professional and looked fantastic! The escrow process went smooth and escrow closed on schedule. We highly recommend David for the sale of your home. His marketing techniques exceed others, and they work!" "Selling your home made easy is something we all look for when the time to move out comes. This is especially important when you are out of state. Due to an amazing job opportunity I left my beloved San Diego and needed an agent that I could trust to cover my interests. David Demangos and his team worked with my handy man and cleaners to coordinate their work in preparing my Condo for sale. He supported me from the beginning through completion. His team was warm and made my process easy. My sale took one showing and the process of closing when like clockwork. Thank you David and your team for exceeding expectations and being sensitive to my needs." "David Sold our home in Carmel Valley super FAST with multiple offers way over asking price!" "We moved to San Diego at the beginning of 2013, and started to hunt a new house months later. At that time, we knew few thing about local area. I checked yelp and tried to find a local realtor. Found Dave at the top rating, one year later, I did know what that mean. There was one special thing during our house hunting. We submitted an offer and seller accepted it. But suddenly, our family faced an expected tough situation. We must withdraw that offer which was more than 1 million dollars. Definitely not a good news for Dave. But he still kindly helped us to handle this and continued servicing us with same enthusiasm, even at that time, we were not sure if we would continue hunting or not. Finally, things changed better. Now, with Dave's help, we not only received a house, but a dream home. My wife and I enjoy it and my kids love it. Dave, he is our realtor, but more like our friend!" "My family relocated to San Diego from Chicago and David has been a fantastic and skilled agent in our search for a new home. He has great energy, a very engaging personality, and most importantly, he goes above and beyond to get things done. We bought a luxury home and David was AWESOME with his expertise!!! He listens to our comments/concerns and does his very best to honestly answer any questions we have. David has bent over backwards for us- including following up with everything from the current status in the sale of our home to creating a personal link for us to search San Diego homes online. Easily the best real estate agent we've ever had the pleasure to work with (and will continue to work with).....I only wish he could come to Chicago to sell our house!" "My husband and I bought a condo when the market was really high back in 2007. Fast forward to now and we had outgrown it and moved on to a larger house but could never sell the condo due to the market conditions, and thus rented it out. Truth be told we were not fans of being landlords, and so we reached out to various realtors to see our options. When all other realtors heard we were interested in selling "hopefully in the near future" their response was always the same: "get back to me when you're ready to sell." Then we met David Demangos, and we were hooked instantly! Not only did David stay in contact with us until the market became favorable (over a year! ), he continuously sent us market updates and other resources to help us decide when the time was right. In that time he never once pressured us and always was available to talk and answer our questions. Do yourself a favor and go with the best, David Demangos!" "When trying to sell our home, we unfortunately found out that our home had a cracked slab, every homeowner’s nightmare. Throughout the entire difficult, complex process, David was available to answer our repeated questions and navigate us through. Calls were always promptly returned. He is very knowledgeable about real estate law and if doesn’t know something can certainly find out and get back to you. At the end of the day, we were able to repair our slab and sell our house. David also helped us tour many homes, located our new house and helped us buy at the same time!! We are very happy. Thank you, David!" "David was great thought out the process and highly recommend him! He went above and beyond getting the deal completed! Will be working together on the next house or commercial property that comes up! Made the hole process as easy as possible! Thanks again Dave." "If you are looking for a trusted realtor to assist you with either buying or selling your home, call David Demangos and set up a time to speak with him. David has integrity and authenticity throughout. He has worked hard to have top level knowledge through many certifications so that he can provide exemplary service to his clients. This includes international accreditation for those moving away from or to San Diego from/to other countries. Once you are done speaking with David, you will know you've connected with someone who is working for your best interests. His success rate will reassure you that you've chosen the right person." "I know many Realtors because of my extensive networking and it is with ease that I am happy to recommend David Demangos & Awesome Real Estate as being at the very top of my most trusted list. Not only have I known David & Gina for over seven years but I have heard over and over again testimonials from happy customers. For my experience I can say that while David was showing my house in Mission Hills on a rainy weekend I obtained two cash offers. If it were not for David & Gina's help who knows how long it would have taken to sell my home. David will treat you like family and work harder than his competition to make things happen and you happy." "Whether you are thinking about buying or selling a home David Demangos will surpass you expectation. He genuinely cares about his clients and is not afraid to negotiate on your behalf. I have worked with David on several transactions and he is well organized, prepared and will communicate with you every step of the way. Regardless if this is your first home or your tenth you will be delighted by his expertise and knowledge of the local market. If you are considering selling your home you should definitely talk to David as he holds several unique designations that will expose your home listing to more potential buyers. The more exposure your home has the more offers you will receive and the more money you will likely get for your home. David is also familiar with home loans and can help get you to the right lender for your needs. I have worked with many realtors over the years and David truly stands out!" "I read a lot of reviews on real estate agents and David was rated highly on another site I usually go to. Once we went with him our house was instantly listed and was sold in great time! David and his team were quick to respond to my questions and kept me informed of important updates. He's a real pro and very tech savvy!" "David far exceeded our expectations. He made himself available to fit our needs. He was able to walk us through negotiations with ease. He was upfront, honest and we really felt he cared about us and that we were a priority. We would definitely recommend him." "If anyone in the San Diego area is thinking about buying or selling a house David Demangos is the man to help you do it! Outstanding customer service. Literally available 24/7, even holidays! This process had a little extra stress with Joe being overseas but David made it seem very easy. So thank you David!" "As a first time home buyer in need of an agent to help me through the process of finding a home that fit my needs, I turned to Yelp to find a worthy agent and I am so pleased that I did. 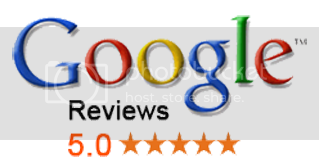 David's reviews were spot on and his 5 star rating is solid and well deserved. I highly recommend David to all, and do so with a firm conviction after choosing to work with David solely based on his Yelp reviews. From start to finish, David was a pleasure to work with and I am now a happy home owner in San Diego. Thank you David!" "We hadn't been in the market for over 30 years and all the changes in the process of selling a home seemed very daunting, but David helped us sell my mother-in-law's house in Coronado. His knowledge of the local market conditions, as well as his versatility with the modern marketing strategies made the process smooth, quick and relatively easy. We were so pleased with his level of professionalism and service, that we hired him to help us buy a new home. Finding a new house is different than selling one, but David navigated this process with ease as well. I would highly recommend David to anyone seeking to buy or sell a home." "David helped me buy my first home, 2 years later he helped me sell it for much more than I paid and moved up to a larger home, he's the man!!!" "It was really a pleasure working with David during the sale of my house. It was an older property with lots of older property issues. David was able to get it sold within 3 weeks of listing, for a very fair price. I really appreciated his professionalism and thoroughness in handling even the tiniest of details. Whenever you are selling an older property like this, there are always lots of little issues to deal with. David always had insightful solutions to get them handled quickly and easily. I highly recommend David Demangos to handle your real estate transactions." "Thanks David for selling our Coronado home! Your process was smooth and a pleasure. I have hired David to buy a new home and look forward to his help. " "David sold my home fast, for more money than I thought I would receive. He is knowledgeable, responsive, and organized. It's great to work with someone who knows his business and has a support staff to keep the paperwork details under control. " "David was patient and was more than willing to showed us many homes. Some agents would pressure the buyer into "settling" for a house they are "ok" with rather than finding the right house. His knowledge in the real estate fields made if felt secure and comfortable the whole complete way throughout the home-buying process. I would be more than happy to refer David to any future home buyers." "Dave Demangos is a man I have dealt with in various business ventures for over 7 years. I know of him and his wife Gina to be people to whom you can give implicit trust. Dave, will always do exactly what he promises when he says he will do it. It is rare to find a person in any business let alone the real estate profession who is of such high character. He will ALWAYS return your calls, emails or text messages promptly. I remain highly confident that in whatever realm you hvae the opportunity to be involved with him you will look back and say "I am glad we did business with Dave Demangos" "
"My family is currently trying to relocate to San Diego from Chicago and David has been a fantastic and skilled agent in our search for a new home. He has great energy, a very engaging personality, and most importantly, he goes above and beyond to get things done. He listens to our comments/concerns and does his very best to honestly answer any questions we have. David has bent over backwards for us- including following up with everything from the current status in the sale of our home to creating a personal link for us to search San Diego homes online. Easily the best real estate agent we've ever had the pleasure to work with (and will continue to work with).....I only wish he could come to Chicago to sell our house!!"